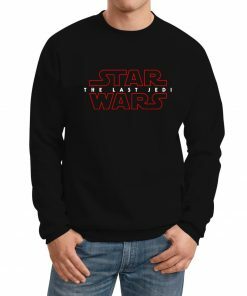 Here on FanJackets, we’re presenting something that all Superhero fans will love. Behold, this collection of Superhero T Shirts. 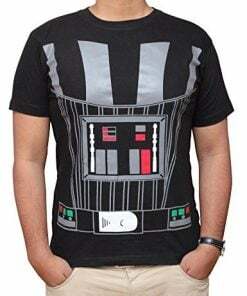 It includes shirts from not only Marvel and DC, but also popular franchises such as Star Wars etc. All at the best price for you. 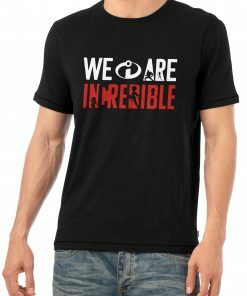 The superhero shirts you’ll see on this site are made from high-quality cotton fabric, which is soft, durable and incredibly comfortable to wear. 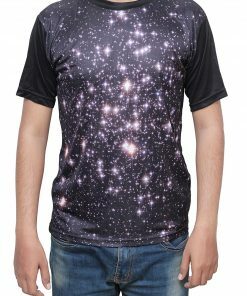 Why settle for dull, uninspired T-shirts when you have superhero t-shirts that can spark up your casual wear with superhero looks? 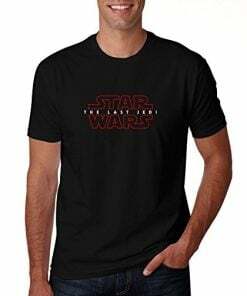 In superhero T-shirts for men and the Superhero t shirt category for women, you’ll find Batman T-Shirt, Robert Downey Jr Iron Man T-Shirt Superman T-Shirt, Wonder Woman T-Shirt, Captain America T-Shirt, The Flash T-Shirts and much more. We even have T-shirts of Harley Quinn, who is basically a villain. And for even more variety, check out our Deadpool T-Shirts. Also on this site, you’ll find a good Batman Beyond shirt, Wonder Woman mens shirt, Batman womens shirt, and many more superhero tees. 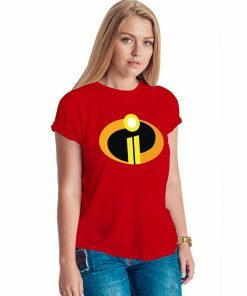 The logos on the superhero tshirts are what helps people identify which hero is which, and the logos on these super hero shirts are made skillfully and professionally printed on to ensure that you look creative, attractive and appealing. Men can find something intriguing and exciting in this collection of superhero tees. Women can find something for themselves in here as well. These shirts are slim fitting and made keeping your comfort in mind. All of them are available at an unbeatable price, so you only have to place an order to have a fabulous clothing experience. 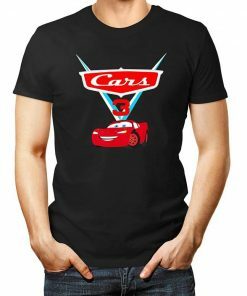 T-shirts are an absolutely essential item of clothing to wear for spring, summers, and for casual wear. Many also prefer to wear them while they’re at home, lazing around with nothing to do. 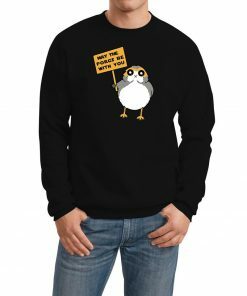 If that’s the case for you, then here’s something you will love: why not take the looks of your favorite superheroes whom you see on different platforms and add them to your normal clothing? Here are the superhero T-shirts for men and women that are not only comfortable to wear, but are also provide a fresh and stylish look to any wardrobe. Let’s check out this men superhero shirts and womens superhero t shirts collection. 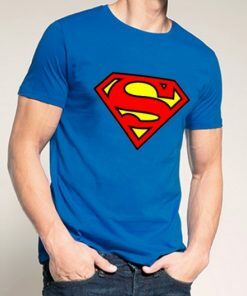 Get a true Man of Steel look by wearing this mens Superman t shirt. The logo is positioned perfectly in the center of the shirt, and the t-shirt bears Superman’s signature blue color. It crafted fully of cotton which will keep you cool during the hot season. We know that the masses love the Caped Crusader. If you’re one of his fans, then get this Batman shirt that sports the Batman logo from the Dawn of Justice movie. 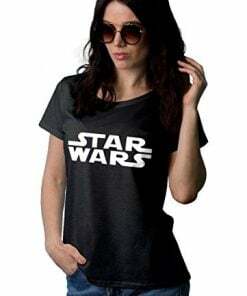 It comes in Bats’ signature grey color, which would add some spice to your casual wear. 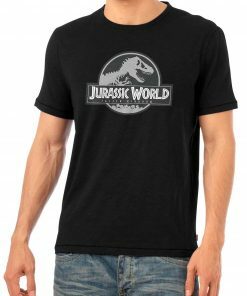 Looking for a light colored T-shirt that would be great to wear during those warm summer days? 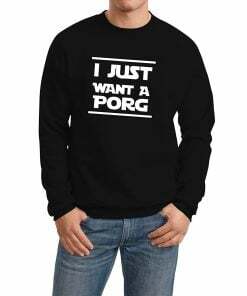 Here’s one that will give you a comfortable wearing experience. 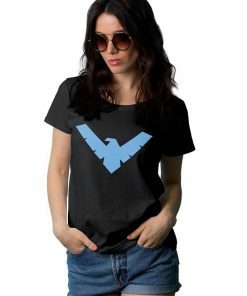 It’s made of cotton, so comfort guaranteed and is inspired by the Batman V Superman movie. We can’t say we have a complete Super hero t shirt collection if Spiderman isn’t involved. 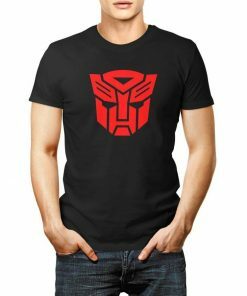 This shirt, made of cotton, and sporting the Spiderman: Homecoming logo if just what you need if you’re a fan of the hero. 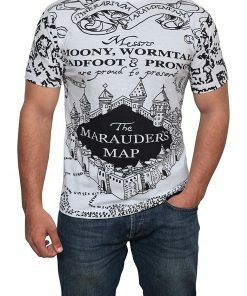 It goes well with any casual attire and would go well with blue jeans. We all adore Captain America and his mind-blowing performances in all the movies so far. Here’s a chance for you to add his marvelous looks to your attire. 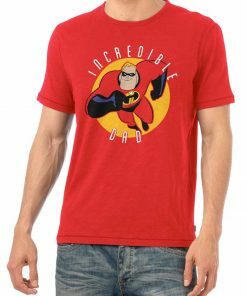 This shirt is crafted from cotton and has the superhero’s shield logo expertly printed onto the chest. As superhero shirts go, this one is just what you need for your wardrobe. Become just a bit more like the fastest man alive with this incredible Flash Logo shirt. The Flash t shirts can be worn for a variety of different occasions and look best when paired with jeans and sneakers. 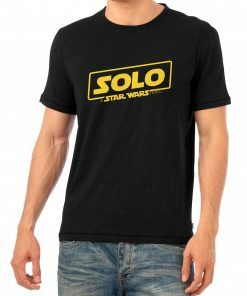 As for the t shirt, its durable cotton material would make it last for years to come. Superhero t shirts for women are in hot demand right now. That being said, Wonder Woman is a force to be reckoned with. 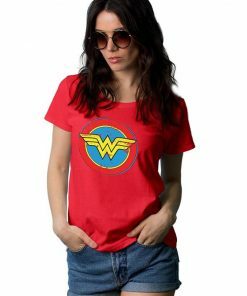 Both in comics, as well as on the big screen.Here is a women’s Wonder Woman shirt that is made just for a pretty woman like you. 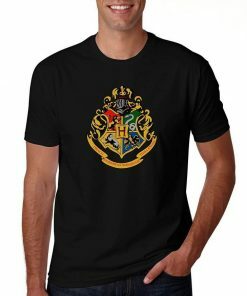 The logo is finely made on the tee, and the soft cotton material will ensure that you feel fully comfortable while wearing this. Superman shirts for ladies are nothing new. Women love the iconic character. 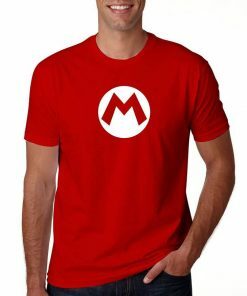 Nowadays, the demand for superhero logo shirts has increased. 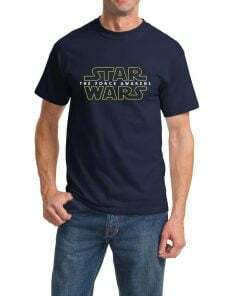 That’s where we come in to satisfy your T-shirt needs. 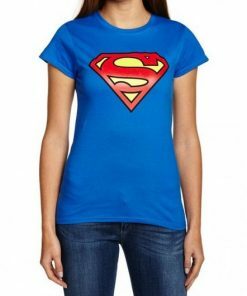 This womens t-shirt is made of cotton, and has the Superman logo professionally printed on to it. It looks great, it feels great. Make it yours. Batman’s cool factor is something to behold. He’s calm, collected, and just oozes confidence. Therefore, it’s no surprise that women love the man. If you feel the same, then this Batman shirt is what you need. 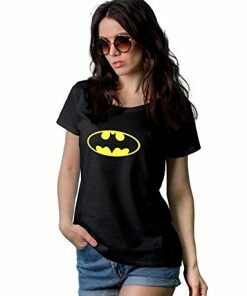 With a classy Bat logo in a brilliant black color and fine crafting, this womens Batman shirt is a pleasure to wear in any way as you like. For the best look,pair this t-shirt with either shorts or jeans. With the Flash series airing on our TV screens, more people are now getting familiar with the Speedster. Whether it’s hanging out with friends and family or while at home, this T-shirt is what you need to show off your love for the Flash. 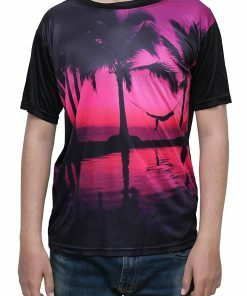 It has a professionally printed design on the front, and you will love wearing this lightweight apparel. If there’s an article of clothing that is not to be missed for hot days, then this is surely this Harley Quinn shirt. 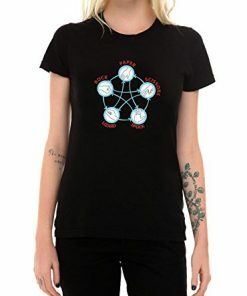 It’s made purely of cotton and comes in multiple colors that would suit women of all ages. 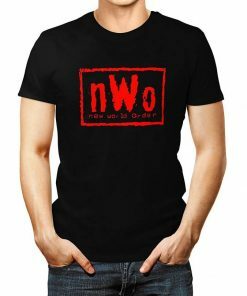 Wear it with jeans, or cotton casual pants to look superb. 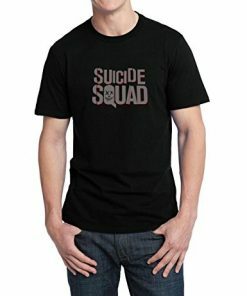 Why are we putting a Harley Quinn shirt in a superhero shirts category? Because Harley does what she wants, and so do we. Continuing the fine collection of womens superhero shirts. 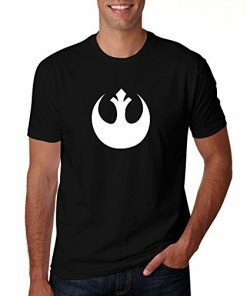 We have this Captain America shirt that has the same shield logo you all are familiar with. It’s designed to last longer and ensures a great fit. It’s time to invest in something amazing and ditch your plain old shirts that have worn out.